When greenhouse gas emissions from residential energy use and personal transportation are rather allocated to the household sector, the size of the latters’ contribution becomes clear, namely roughly one-third of energy use and carbon emissions. This share increases further when greenhouse gases related to the consumption of meat and dairy products are taken into account, rather than being attributed to agriculture and industry. To a certain extent, residential energy use is clearly unavoidable because it provides services (such as heating) necessary for survival and basic comfort. However, a substantial part of the global consumption elite’s energy consumption and related emission of greenhouse gases is wasteful and clearly avoidable. The most efficient way to reduce emissions from personal transportation is probably buying a new (fuel efficient or electric) car. However, most people cannot simply switch to a new car or cannot yet afford the most efficient cars. Luckily, there are more feasible actions that can reduce emissions right now. First, there are many alternatives to driving a car: carpooling, telecommuting, walking, cycling or using public transportation. These do not always present viable alternatives, but even when one owns a car because he or she needs it for certain activities, one should in each particular case reflect whether there is an alternative, rather than automatically getting in one’s car. Even when there is no alternative (5), there are measures to reduce greenhouse gas emissions. Routine car maintenance is essential: getting frequent tune-ups (including air filter and oil changes) and maintaining correct tire pressures would decrease fuel consumption, thus not only reducing emissions, but also saving money. These actions can reduce an individual’s emissions by at least a third, which would amount to a reduction of total emissions by roughly 15% (under conservative assumptions about the amount of emissions related to meat and dairy consumption). In addition, individuals can reduce their greenhouse gases by reducing air travel, buying locally produced and seasonal food, buying less pre-packed goods, reducing their possession of “stuff” in general, etcetera. Many of these actions and those mentioned above are already widely known, but much less implemented. One reason for this is that people do not perceive their individual greenhouse gases to make a difference, and they therefore believe that their unilateral actions to reduce these emissions do not really make a difference either. Biking instead of driving or choosing the veggieburger rather than the hamburger may seem like small choices, and it may seem that such small choices by such little people barely matter. But ironically, they may be the only thing that matters. For large changes are caused and constituted by small choices. The effects of individual emissions might be exceedingly small, they are also fully real in that they increase the exposure of vulnerable people to the risk of serious suffering from climate change harms, now and in the future. Individuals therefore have a unilateral duty to (at least) reduce their avoidable emissions, which can partly be fulfilled by taking the actions regarding residential energy use, personal transportation and meat and dairy consumption suggested in this post. (1) For a useful and comprehensive account about the choices individuals can make to reduce their greenhouse gas emissions, also see The Union of Concerned Scientists, Cooler Smarter. 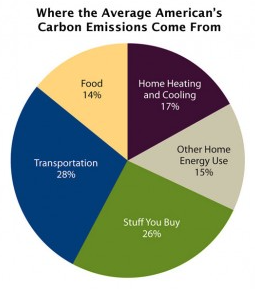 Practical Steps for Low-Carbon Living (Washington DC: Island Press, 2012) and http://www.coolersmarter.org. (2) Michael Vandenbergh et al., ‘Implementing the Behavioural Wedge: Designing and Adopting Effective Carbon Emissions Reduction Programs’, Environmental Law Reporter 40 (2010), pp. 10547-54. (3) Since measures to promote or regulate behaviour are unpopular and perceived as interference in individual’s private life, policymakers have an interest in the framing of greenhouse gas emissions that diverts attention away from individual behavioural changes. (4) My argument and suggested actions in this section are based on Thomas Dietz, ‘Household Actions Can Provide a Behavioral Wedge to Rapidly Reduce U.S. Carbon Emissions’, Proceedings of the National Academy of Sciences 106 (2009), pp. 18452-6; Gerald Gardner and Paul Stern, ‘The Short List: The Most Effective Actions U.S. Households Can Take to Curb Climate Change’, Environment 50 (2008), pp. 12-25; and IPCC, Climate Change 2014: Mitigation of Climate Change. Working Group III Contribution to the Fifth Assessment Report of the Intergovernmental Panel on Climate Change. (New York: Cambridge University Press, 2014). http://ipcc.ch/pdf/assessment-report/ar5/wg3/ipcc_wg3_ar5_full.pdf, pp. 686-7, esp. table 9.2. (5) Car drives can be unavoidable in meeting one’s basic needs. Moreover, while avoidable in the strictest sense, car drives can sometimes be indispensable (for example, to bring one’s children safely to school). Such activities are open for discussion, but I am convinced that, for example, an able-bodied person’s car drive to the bakery down the street or driving for pleasure are instances of greenhouse gas emitting activities that are clearly avoidable on the individual level. (6) The information and suggested actions in this paragraph are based on Dietz, ‘Household Actions’; Gardner and Stern, ‘The Short List’; IEA, Technology Roadmap. Fuel Economy of Road Vehicles (Paris: OECD/IEA, 2012), http://www.iea.org/publications/fueleconomy_2012_final_web.pdf; and IPCC, Climate Change 2014: Mitigation of Climate Change, pp. 616-18. 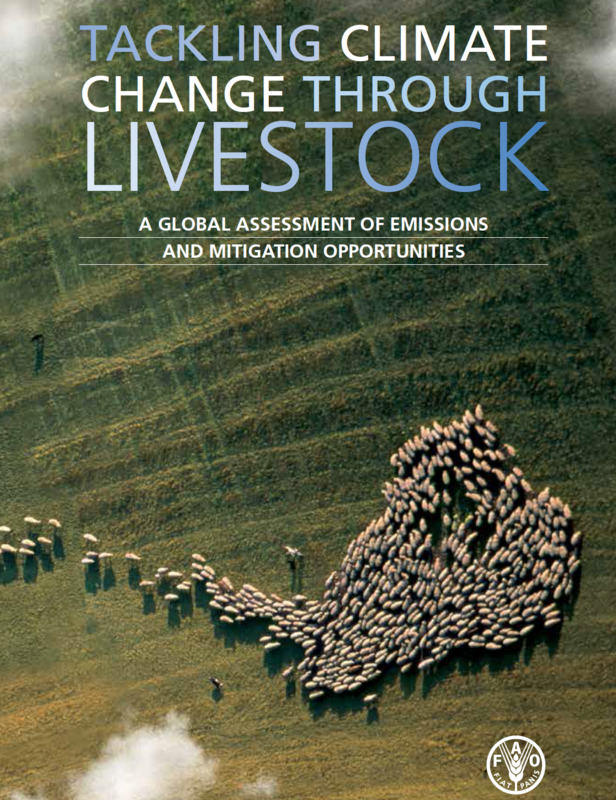 (8) Pierre Gerber et al., Tackling Climate Change Through Livestock – A Global Assessment of Emissions and Mitigation Opportunities (Rome: FAO, 2013). http://www.fao.org/docrep/018/i3437e/i3437e.pdf, p. 15. Other analyses show figures as high as 51 per cent for the total contribution of livestock and by-products to annual worldwide greenhouse gas emissions. See Robert Goodland and Jeff Anhang, ‘Livestock and Climate Change: What if the Key Actors in Climate Change are … Cows, Pigs, and Chickens?’, World Watch Magazine 22 (2009), pp. 10-19, at p. 11. These differing results are partly due to methodological differences, but it should be clear that meat and dairy consumption is a major source of greenhouse gases. (9) Peter Scarborough et al., ‘Dietary Greenhouse Gas Emissions of Meat-Eaters, Fish-Eaters, Vegetarians and Vegans in the UK’, Climate change 125 (2014), pp. 179-92, at 186. (10) Anthony McMichael et al., ‘Food, livestock production, energy, climate change, and health’, The Lancet 370 (2007), pp. 1253-63. 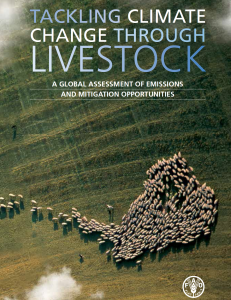 (11) Tara Garnett, ‘Livestock-Related Greenhouse Gas Emissions: Impacts and Options for Policy Makers’, Environmental Science & Policy 12 (2009), 491-503; McMichael et al., ‘Food, livestock production, energy, climate change, and health’. Scarborough et al., ‘Dietary Greenhouse Gas Emissions’; Elke Stehfest et al., ‘Climate Benefits of Changing Diet’, Climate Change 95 (2009), pp. 83-102. (12) Dale Jamieson, ‘The Moral and Political Challenges of Climate Change’, in S. Moser and L. Dilling (eds. ), Creating a Climate for Change: Communicating Climate Change & Facilitating Social Change (Cambridge: University Press, 2006), pp. 475-82, at pp. 481-2. Thanks Andrew! My remark about the fuel efficient or electric car might indeed have been too quick. It was merely to indicate that such issues should not should not keep them from taking the first steps (the easy actions I mention in my post). Your parents were truly admirable for taking environmental concerns into account and for taking the effort to research the best option. To respond to the underlying problem you rightly signal, I agree that epistemic demandingness is an important issue. I would also concede that epistemic paralysis partly explains people’s inaction regarding the reduction of emissions. However, on the other hand, as I said in my post, many of these actions are widely known – or can be easily found by investing a couple of minutes in internet research. We should also be aware of the risk that people might all too easily invoke ignorance to excuse their emissions. The question then becomes whether ignorance remains excusable. My moral viewpoint might seem a bit harsh on people, but I do believe that we can reasonably expect of most people in the developed world to anticipate the consequences of their emissions and how to reduce them (see also my response to Tom’s comments on my first post). I acknowledge that the actions to be taken might not be easy, but morality isn’t either. With respect to vulnerable and future people, it would be wrong to let current emitters off the hook too easily. Regarding institutional changes: indeed, it might be more efficient to pursue institutional changes to reduce emissions. However, I am somewhat more sceptic: for over 25 years, the world is negotiating for a global treaty that will fall short anyway; after six years of negotiating, the Belgian regional and federal governments still are unable to agree on an appropriate intranational distribution of burdens and benefits, even after the Volkswagen scandal, the European standards for diesel cars are abysmally low; global investment in renewable energy remains completely inadequate, although virtually all economists by now acknowledge that this is the way to go; … In the mean time, individuals and households could have reduced a substantial part of emissions by behavioural changes. I would very much support institutional or collective measures aimed at changing individual behaviour, such as meat taxes (and Rebecca’s post was enlightening). However, I also fear that such measures will be seen as an intolerable interference with people’s choices. They are unlikely to be taken by politicians (who would like to be re-elected), and will probably be resented by many citizens (who will try to find a way to avoid these measures). In sum, although you make more than valid arguments, my point would be that they do not question the importance, relevance and potential of individual actions and behavioural changes. Hi Wouter, thanks for this interesting post. As with the previous posts, I agree with the general line of your argument. What I’m less sure about – and would like you to ask you to clarify, as far as you think is possible – is just *how* much individuals can be required to do. Many of the points you mention are relatively easy to realize. But some might come into conflict with things are very dear to people, and that give them meaning in their lives. For example, what if I live in a small flat in a city but have always dreamed of having a cottage in the countryside? Assume that at some point in my forties or fifties I have saved the money to find a small cottage – but it means that I will need a car to get there. Or assume that it is deeply important to me to get to know different countries and different cultures, some of which I can only reach by air travel – can this be permissible? Can I “make up” for it by, say, choosing not to eat meat? I know lots of people (including myself) who think about these and similar questions, and I wonder whether you think there can *ever* be a clear answer to them, and whether we could *ever* do enough – or do we have to learn to live with a bad conscience? Thanks Lisa for these comments. Let me first say that the goal of my series was not to work out a comprehensive account of what or how much individuals are required to do. Although it is an interesting question, I would argue that we do not need such a perfectionist account to already start with the actions I mentioned. The lack of a perfect account should neither be allowed to delay the latter, nor form an excuse for inaction. What I mean by this is that we should take responsibility for the costs (environmental degradation and harms) resulting from our choices (for example, living in a small cottage in the countryside, eating meat or flying to another part of the world), instead of offloading these costs on society, and ultimately on vulnerable people, the environment, and future people. I believe that individuals should try to avoid or reduce these costs and harms as much as they can and that it should be a priority of society to expand the range of people’s ‘costless’ freedoms (e.g. by investing in renewable energy). In addition, I would leave some room for offsetting (that is, neutralizing your own emissions by paying someone else to avoid emissions, for example by donating money to projects that install wind mills, efficient cook stoves etcetera in the developing world). There is a polarized debate about offsetting, and I regret not having been able to include it in my last post, but I take a position somewhere in the middle: in the transition to a society that enables people to pursue their different conceptions of the good life without resulting in environmental degradation and harms, I believe that individuals and households should be allowed to offset part of their emissions. I am thinking about writing a post about offsetting somewhere in the near future, but I am not entirely sure whether it would be interesting. The “clear” answer you are searching for, is that the emissions of every single individual, household, corporation and institution should ultimately amount to zero. Every step in that direction (beginning with the ones I mentioned in my post) should be applauded, but at the same time, those actors should also immediately be challenged to take the next step. This would also mean that not eating meat cannot compensate for air travel (carbon offsetting might, under stringent conditions).